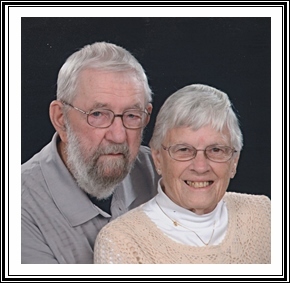 Steven William Brock, age 85, of Grand Rapids, entered his heavenly home on Sunday, October 28, 2018. He proudly served his country in the U.S. Army at Walter Reed Hospital and worked at Pine Rest as a registered nurse for over 40 years. Steve loved the Lord, his church, and his family who will deeply miss him, his wife of 64 years, Trina; children, David (Jennifer) Brock, Thomas (Patricia) Brock, Ronald (Marcia) Brock, Phillip (Pam) Brock, DeAnne (Tom) Penning; 14 grandchildren; 11 great grandchildren; sisters and brothers, Joanne Ellens, Willard (Joyce) Brock, Shirlene (John) Mulder, Gladys (David) Mulder, Rolene (Adrian) Gilder, Minert Jr. (Tressa) Brock, Jean (Bill) DeWaard; sisters-in-law and brothers-in-law, Ardean (John) VanderWall, John (Patricia) Talsma, Tressa Noffke, Lorraine Slagh, Marty (Dale) Suit, Angie (Bob) Meulendyk, Bernice (Bill) Grooters. The family will greet visitors on Wednesday from 2 - 4 and 6 - 8 pm at Stroo Funeral Home. The funeral service will be held at 11 am Thursday, November 1, at Hillside Community Church, 1440 68th St. SE, with Pastor Ron Kool officiating. Interment will be in Ft. Custer National Cemetery. Many hugs and prayers for Aunt Trina and the family.